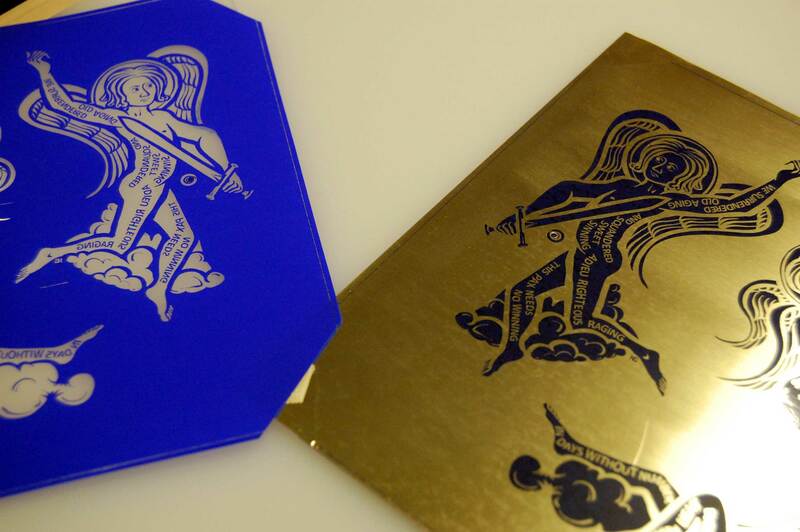 This entry was posted in idle angels, making and tagged acid etch, brass, pnp blue, toner transfer. Bookmark the permalink. Congratulations. So are you doing all the transfering and etching, prior to the water jet cutting? or was this just a materials and methods test? My plan to do silk screening and water jetting is completely out the window at this point. Lead times and costs were just too much to be worth it so I’ve focused my energy on improving existing methods. Honestly, now that the toner transfer method performs reliably I think it will be faster. If all goes well, I’ll have eight new ornaments by the end of the day!